This Find of the Month is the file '[LF1022] – Department of the Interior – Sheep Grazing – Canberra City Area'. 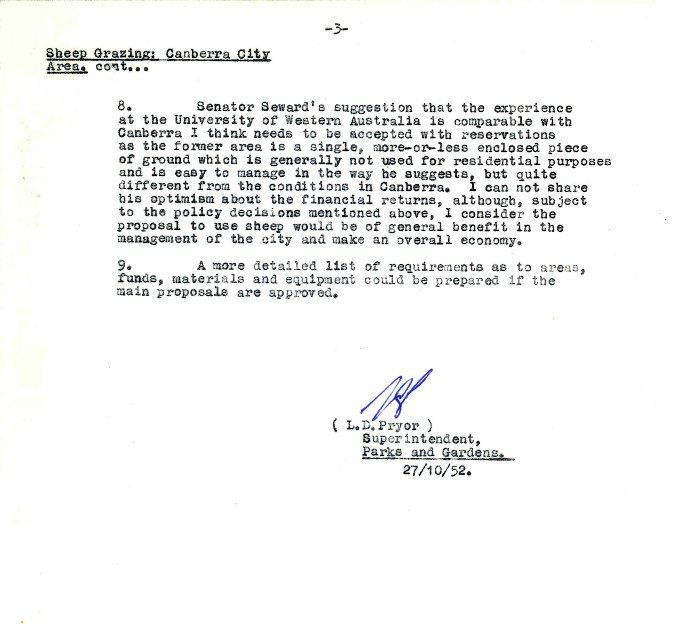 This file was created as a response to a letter dated 21st of October 1952 from Western Australian Senator Harrie Stephen Seward. He proposed that sheep be used to control grass on undeveloped blocks within the Canberra City limits. This letter was not included on the file. 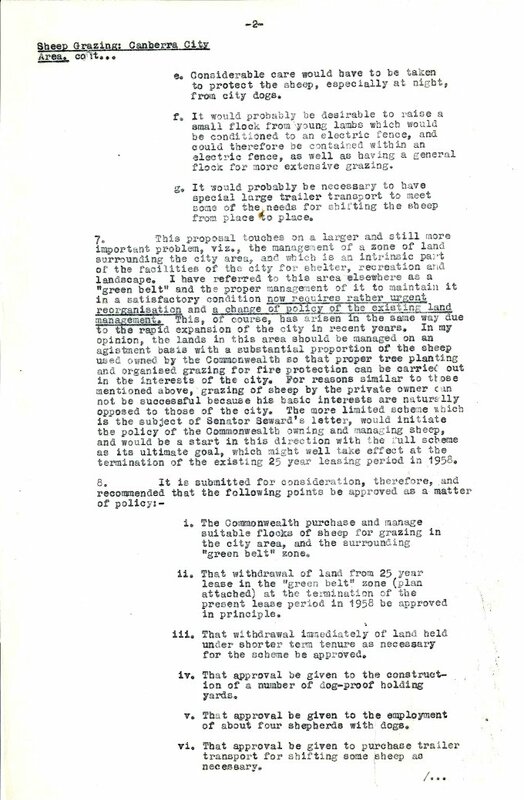 Superintendent of Parks and Gardens, Lindsay Pryor, wrote the following response to Senator Seward’s that carefully considers the suggestion. 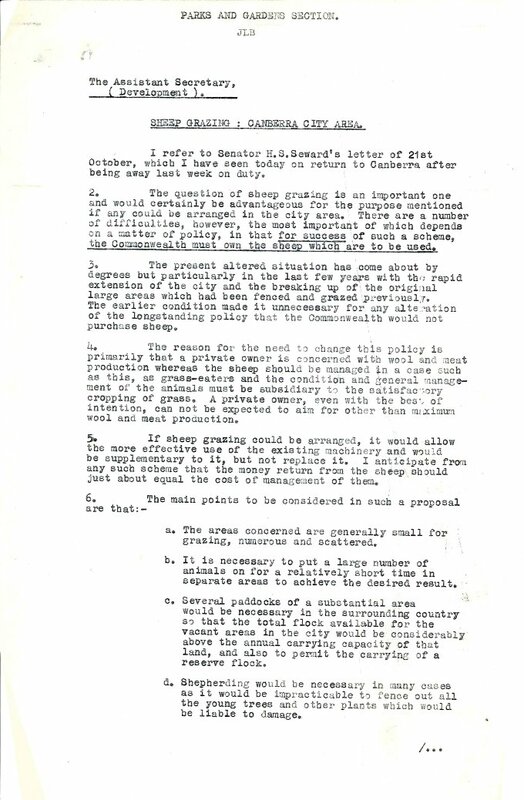 It appears that the idea was not implemented as evidenced by the lack of later folios on this file or any later files on the topic.